The Northampton Poet Laureate position is a two-year term during which the poet will celebrate Northampton’s vibrant and diverse poetry community through activities of interest to the chosen poet, and will educate the public about the importance of poets and poetry to Northampton’s civic and artistic life. The selection committee read poetry by various nominees, discussed a wide range of qualities in all their work, and considered their success in the larger poetry world. This year the selection committee chose a poet who has long been active teaching public speaking and performance skills for writers and young people. 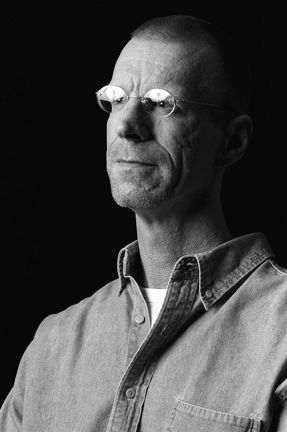 By majority vote, Patrick Donnelly was selected as the seventh Poet Laureate of Northampton. Past laureates include Martin Espada, Janet Aalfs, Jack Gilbert, Lesléa Newman, Lenelle Moïse, and Richard Michelson. Patrick Donnelly’s books of poetry are The Charge (Ausable Press, 2003, since 2009 part of Copper Canyon Press) and Nocturnes of the Brothel of Ruin (Four Way Books, 2012), the latter book a finalist for the Lambda Literary Award. He is director of the Poetry Seminar at The Frost Place (Robert Frost’s old homestead in Franconia, NH, now a center for poetry and the arts), and an associate editor of Poetry International. His poems have appeared in American Poetry Review, Slate, Ploughshares, The Yale Review, The Virginia Quarterly Review, Hayden’s Ferry Review, The Massachusetts Review, and many other journals. Donnelly teaches at Smith College, and has also taught at Colby College, the Lesley University MFA Program, and the Bread Loaf Writers' Conference. With his spouse Stephen D. Miller, Donnelly translates classical Japanese poetry and drama, including the Japanese poems in The Wind from Vulture Peak: The Buddhification of Japanese Waka in the Heian Period (Cornell East Asia Series, 2013). Donnelly and Miller’s translations have appeared in many literary and translation journals, including Circumference, Inquiring Mind, Kyoto Journal, Metamorphoses, and Poetry International. In 2013, Donnelly received a U.S./Japan Creative Artists Program award to fund a 3-month residency in Japan during 2014. The inaugural reading for Mr. Donnelly will be scheduled in the autumn of 2015, at a date to be announced. The event will be free and open to the public. Donations will be accepted to further the work of the Poet Laureate.